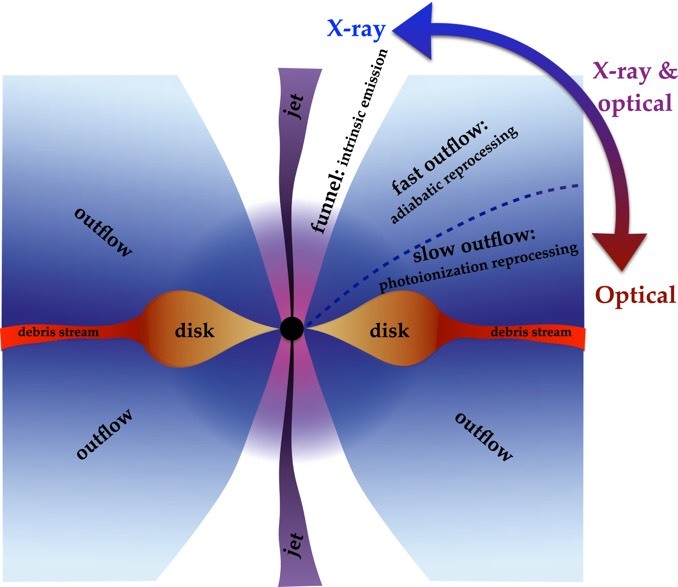 In typical galaxies, a black hole devours a nearby star every 10,000 years or so in a catastrophic frenzy known as a tidal disruption event, or TDE, that can generate enormously powerful flares as in-falling material is heated to extreme temperatures. Only about two dozen TDEs have been confirmed to date, and they exhibit a wide variety of radiation, from mostly X-rays to mostly visible and ultraviolet light. 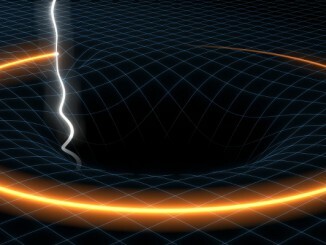 Explaining that diversity has been difficult, but astrophysicists at the University of Copenhagen’s Niels Bohr Institute and the University of California Santa Cruz have developed a model that shows the radiation seen in a TDE depends on the orientation of the black hole and the viewing angle. 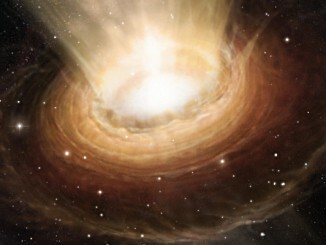 “Only in the last decade or so have we been able to distinguish TDEs from other galactic phenomena, and the new model will provide us with the basic framework for understanding these rare events,” said Enrico Ramirez-Ruiz of UC Santa Clara and the University of Copenhagen, co-author of a paper describing the model in Astrophysical Journal Letters. Galaxies hosting TDEs are oriented at random as viewed from Earth. 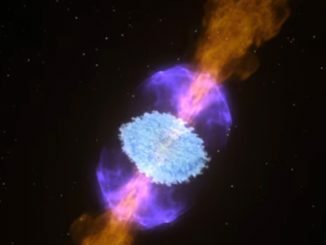 The new model combines general relativity, magnetic fields, radiation and gas hydrodynamics to show what astronomers can expect when viewing tidal disruption events from different angles. Survey projects are planned that should greatly increase the number of confirmed TDEs.